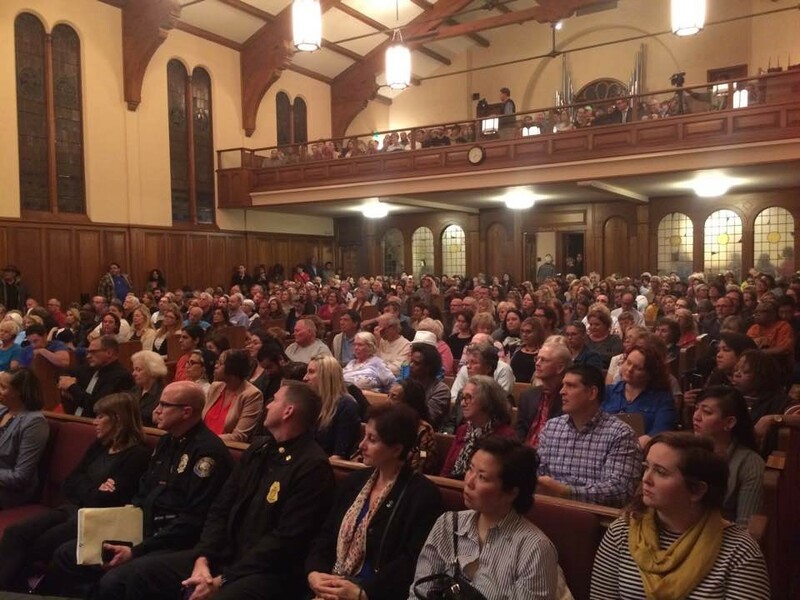 If you attended Justin Rudd?s Compassionate Town Hall on January 30th, you might?ve noticed the warm, tingly feeling permeating Bay Shore Church. Listening to each of the twenty-plus speakers share from their experience, knowledge, and heart was eye-opening, to say the least. Much is happening in Long Beach, and with the continued growth of compassionate conversations like this, so much more is possible. Our own LBACH President Steve Be Cotte spoke that night. He talked about the purpose of the Long Beach Area Coalition, clarifying that we are not an actual service provider, but instead, we are an organization of organizations, and that we are in partnership with the many, many organizations and community stakeholders in Long Beach who are concerned with issues surrounding homelessness. Steve further explained that as an organization, we are striving forward with the intention to become the glue that holds all of these and stakeholders together. We are not quite there, but we are moving in that direction and certainly, it is LBACH?s desire to become that source of connection. ?What I?ve noticed,? said Steve, ?is that communities that are successful at addressing homelessness do one thing very well. They network. So it?s not just about COC. It?s not just about MHA, and not just about the Rescue Mission?it?s about everybody working together. And really, my vision and why I?m crazy enough to say, okay yeah, I?m taking over the homeless coalition, is that I see that everybody?s doing great work, but there?s got to be some glue to put everybody together.? Justin Rudd?s Compassionate Town Hall demonstrated the power of interconnectedness. Lots of great information was shared that night. Connections were made. Hope was ignited. Let?s keep this compassionate conversation alive, and keep the momentum going. Get involved. Become informed. Do it today. ?Like? Long Beach Area Coalition on Facebook to receive updates on what we?re doing, and to get information on events and volunteer opportunities with partner organizations. Join the Volunteer Long Beach Facebook group to post and search for volunteer opportunities. Join the Long Beach Events Calendar Facebook group to post and find events in Long Beach. Go to Justinrudd.com for updates on Justin Rudd?s year-round calendar of community events. Click here to watch the video of Justin Rudd?s Compassionate Town Hall.